Delivers 24 Highway MPG and 17 City MPG! This Volkswagen Atlas delivers a Regular Unleaded V-6 3.6 L/220 engine powering this Automatic transmission. 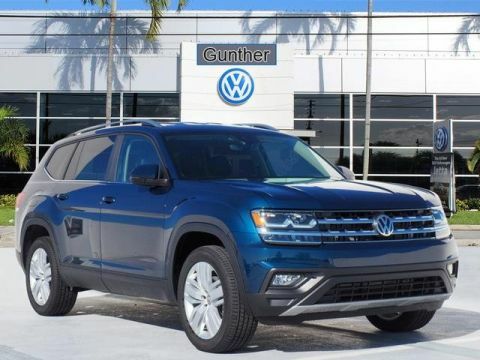 TOWING PACKAGE -inc: Factory installed trailer hitch w/5,000 lbs, towing capacity,, TITAN BLACK, V-TEX LEATHERETTE SEATING SURFACES, RUBBER MATS KIT - BENCH SEATS -inc: set of 4 Monster Mats w/logo, Heavy Duty Trunk Liner w/VW CarGo Blocks. 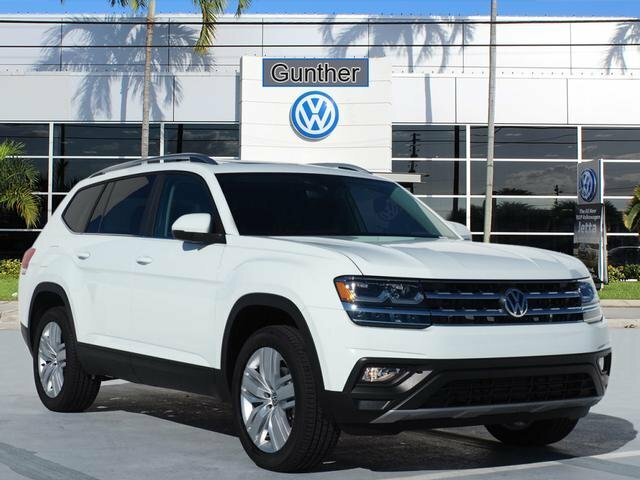 * This Volkswagen Atlas Features the Following Options *PURE WHITE, 20 SILVER TRIPLE 5-SPOKE WHEELS -inc: Wheels: 20 Silver Triple 5-Spoke Alloy, Tires: 20 All-Season, Window Grid Diversity Antenna, Wheels: 18 5-Spoke, Vw Car-Net Selective Service Internet Access, Valet Function, Trip Computer, Transmission: 8-Speed Automatic w/Tiptronic, Transmission w/Driver Selectable Mode, Tracker System. 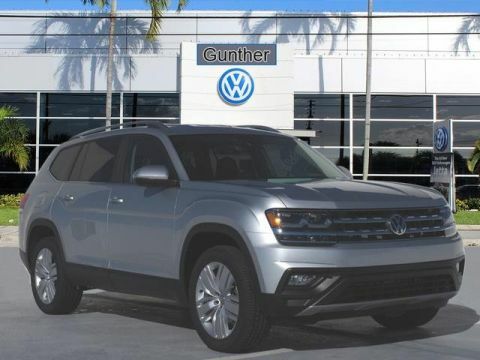 * Stop By Today *Live a little- stop by Gunther Volkswagen of Fort Lauderdale located at 1660 S State Rd 7, Fort Lauderdale, FL 33317 to make this car yours today!